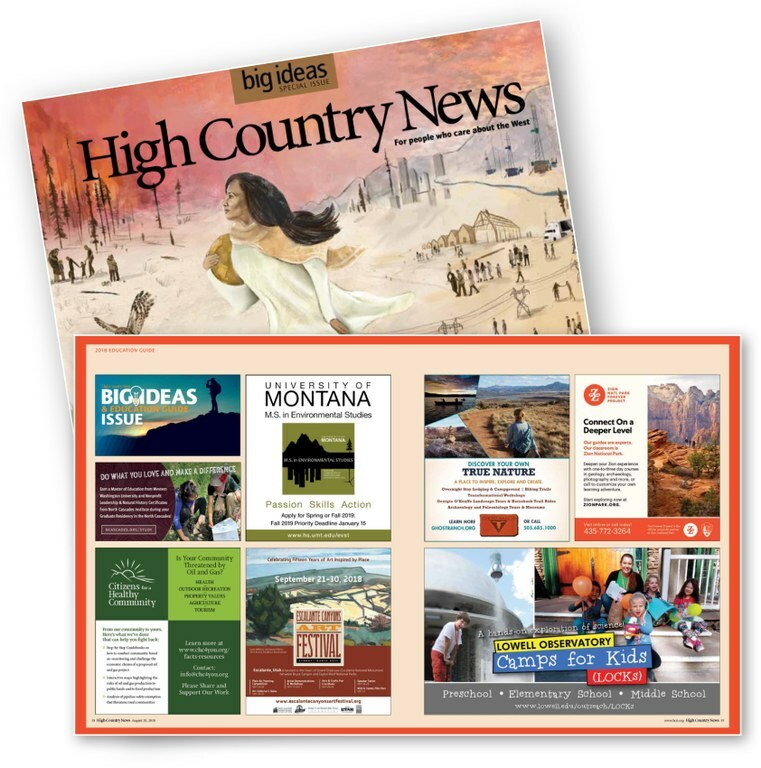 In our annual Big Ideas Issue & Education Guide, the editors of High Country News dive deep into the biggest ideas defining the modern American West, analyzing what it means to live in a diverse, unique region with a complex history and exciting future. Who is evolving to meet the needs and mold the future of our changing region? Who are the innovators? What programs and companies are breaking new ground? For 2019, we offer the HCN 2070: The Sci-Fi Issue. In this issue High Country News will imagine different climate change scenarios in the West, hence 50 years. An audience engagement event will ask readers to give weather reports from their hometowns - 100 years out - and the best results will be published on our website. This issue includes a special advertising section - the Education Guide - for schools, universities, educational organizations, retreats centers and travel tours. We hope to see your promotion in this very special issue!